There’s a pretty easy answer to the question ‘What have I been eating?’ According to the photos below, it’s basically chocolate and burgers, and I’m definitely not complaining! There’s a good tradition in my office that when you go on holiday, you bring back something delicious for the rest of the team. 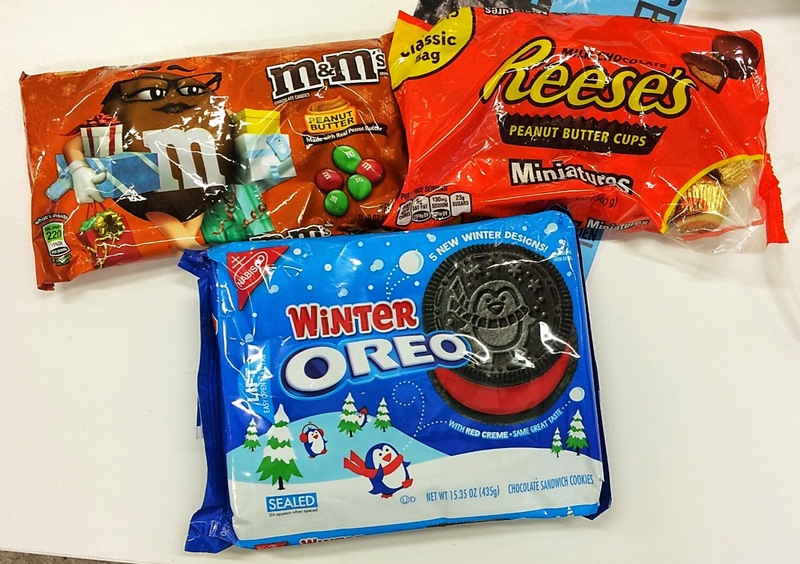 My colleague went to America and brought back a selection of extremely popular sweet treats which were devoured in a matter of minutes! I’m not a huge fan of peanut butter, so I went straight in with the E number fuelled Oreos and didn’t regret a bite. Not for the faint-hearted! I regularly hit up Byron Burger on hangover days; their thick chocolate milkshake is my soul food. 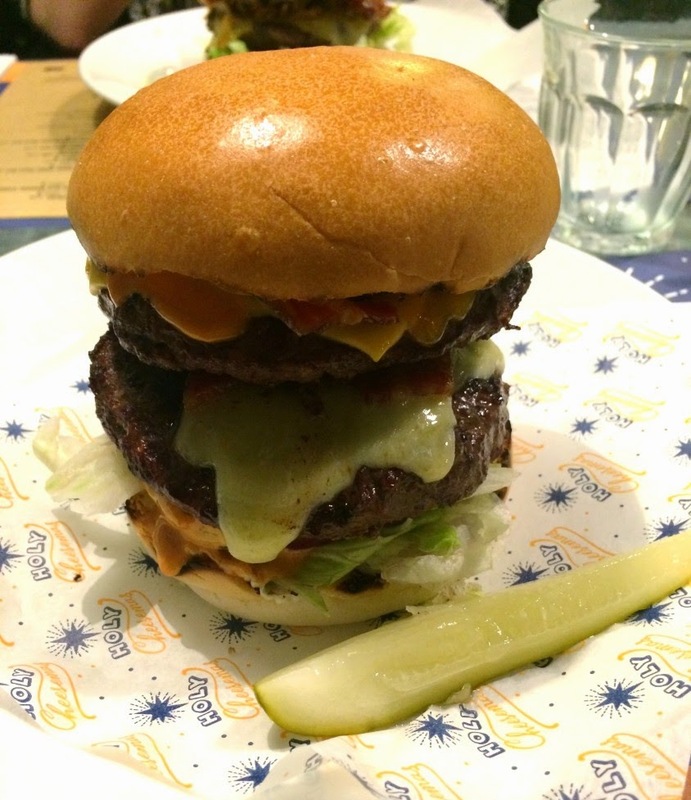 The limited edition Holy Cheesemas is two 6oz patties, four kinds of cheese – mature Cheddar, American, Red Leicester and Monterey Jack – plus two rashers of dry cure bacon, red onion, shredded iceberg, sliced pickles and Cheesemas sauce. I had to tackle it in small stages and thankfully was sensible enough to order a side salad with it, or I may have passed out from carb overload. This was an impulse purchase of massive proportions. I literally walked past it in Waitrose, stopped, did a double take, suppressed a shriek of glee and chucked it in my basket. I’m now never allowing myself to buy it ever again as it is the most luxuriously thick and delicious hot chocolate I’ve ever had. Although not overwhelmingly salted caramel flavoured, it does balance out the potential btingly sweet taste that I’d prepared myself for. 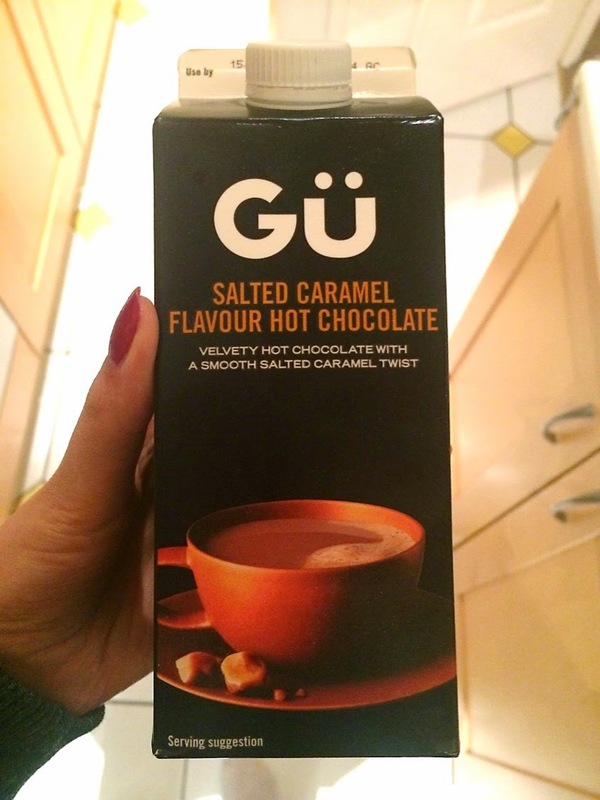 This is for true chocolate lovers – Horlicks can do one. You may have seen me rave about DineIn.co.uk and this photo is the reason. Meat Mission is a sister restaurant of Meat Liquor and DELIVERS TO MY POSTCODE. A best friend, a bottle of red and Pitch Perfect on DVD made this basically the best night in ever. 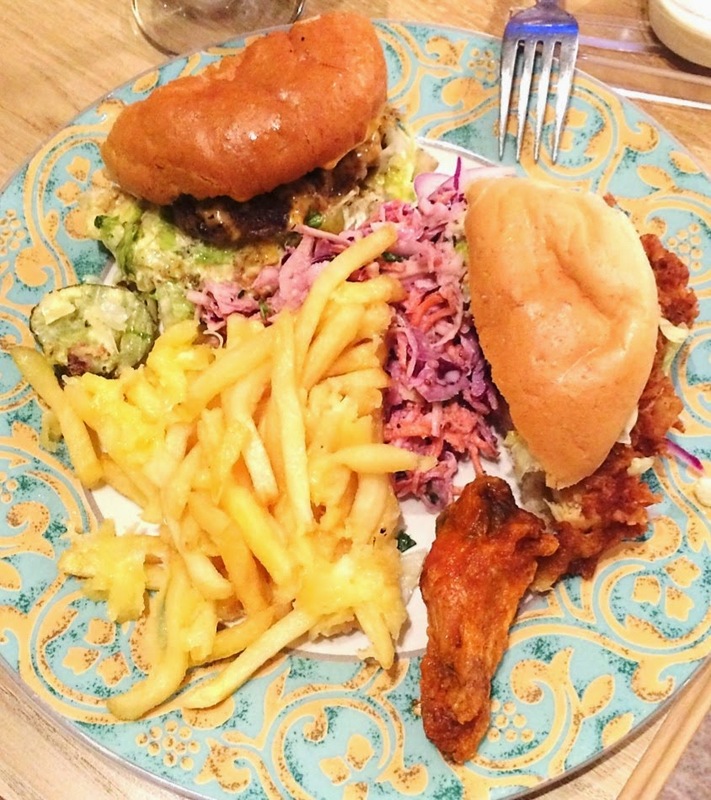 On my plate is the infamous Dead Hippie Burger, cheese fries, coleslaw and the best spicy chicken wings I’ve ever had. This is the future of food, people! What have you been eating recently?